Hi everyone! 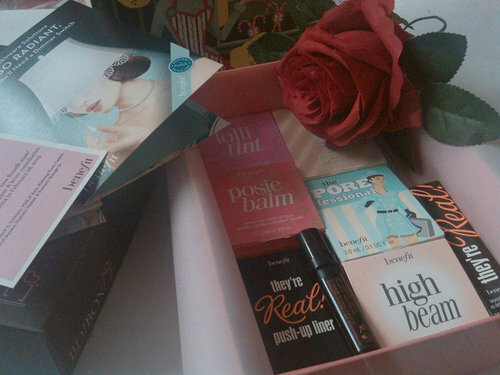 It’s another second week of the month, and it means… BDJ Box unboxing time! I’m so happy that the box arrived a week before than I expected. 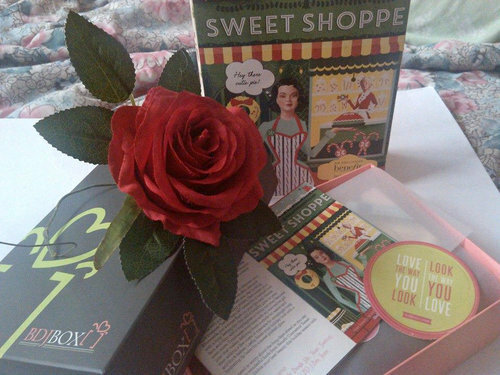 BDJ Box shared a teaser a week before that Bellas will be receiving a “sweet treat” from their November boxes. 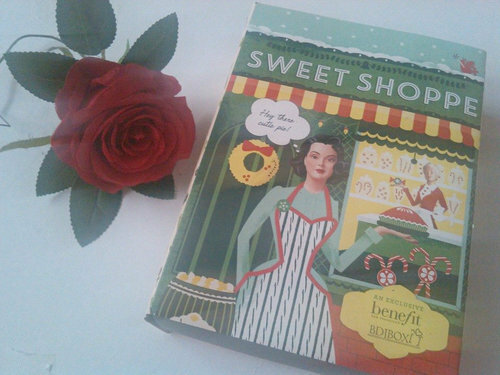 I have a hunch that it’s a Benefit Exclusive box, and I was right! Hihi. This arrived last November 15 and I’m very excited to open the box. I also came along with my prize from Sample Room IG contest which I will be posting after this one. So let me share with you my unboxing post. I promise next time, I will do video blogging for my unboxing posts. 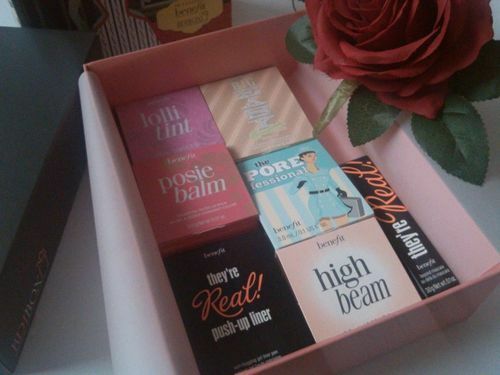 For this month, it’s an exclusive BDJ Box full of Benefit Cosmetics. 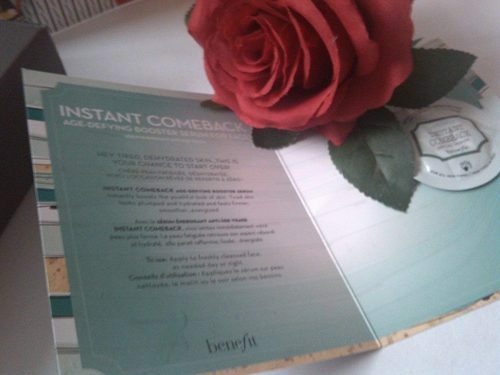 Usually, when BDJ Box sends out exclusive boxes, the box has a sleeve which displays the brand which the box contains. Tadaaa! Aren’t these beauties such a cutie? Get smoother-than-smooth skin with this pore minimizer! This silky and lightweight balm is formulated with vitamin E to help protect your skin while minimizing pores and appearance of fine lines. A true 2-in-1 coverage that controls oil and balances moisture while giving lightweight finish to the skin. It perfectly conceals imperfections as it adjusts to your skin tone, while it soothes and protects your skin from free radicals. 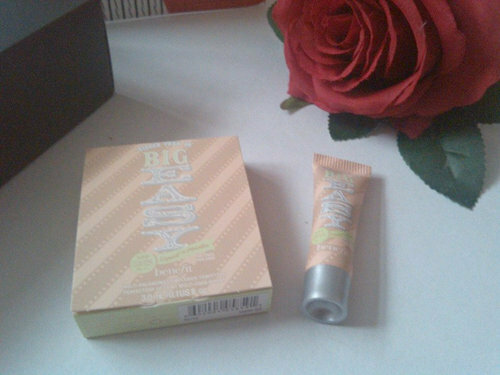 So this one is somewhat a foundation or a BB cream. I also want to try this one. Actually everything in the box is so worth the try. 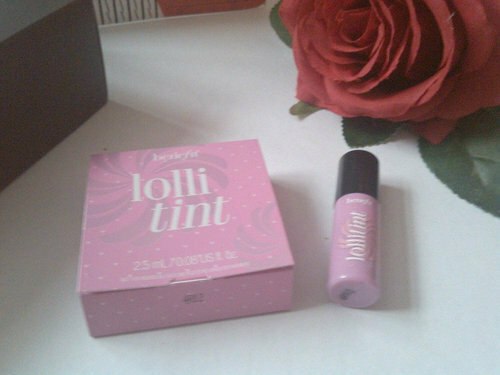 You can never go wrong with this sweet candy-orchid tint! With its smudge-proof and smooch-proof formula, you can now get that sweet flirty flush for your lips and cheeks all day long. Want a highlighter that doesn’t over shimmer your face? 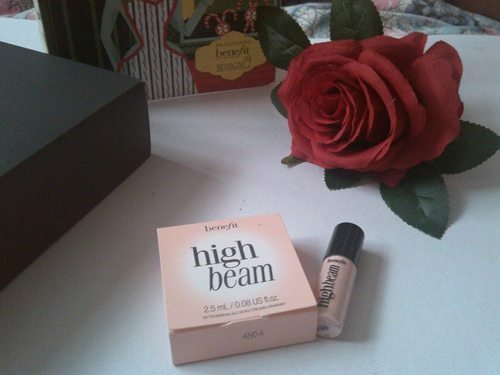 High Beam gives a subtle sheen to your face so you can get that fresh and dewy look. Just dot it in the parts of your face that’s usually touched by the sun and blend for a luminous glow. This lash-hugging pen gel liner uses a soft AccuFlex tip that gives you smooth, non-budge application. It’s a waterproof, matte black gel liner that can last for as long as 24 hours on your lids. I’m very happy that I got this. I’ve also been eyeing this gel liner and is currently on my wishlist. Believe the impossible! They’re Real Mascara provides jet-black lash coverage that makes your lashes gorgeously long and thick without the clumping, giving you gorgeous eyes all day long. This product is also a holy grail and under my wishlist. Ohh, aside from liquid and gel liners, I am also fond of collecting mascaras. 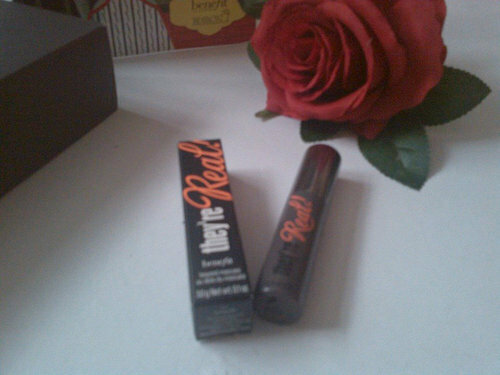 With its mango butter and sodium hyaluronate formula, you can get healthy poppy-pink tinted lips. 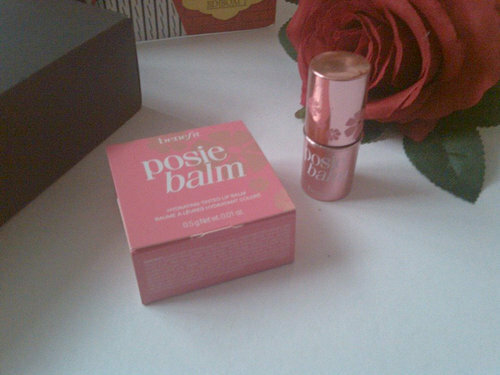 Posiebalm helps hydrate and conditions while giving your lips a sweet pinkish glow. 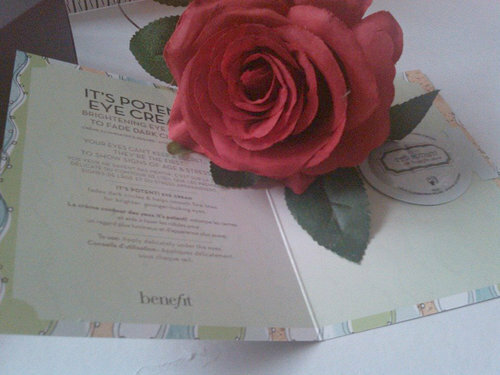 Brighten your dark eyebags with It’s Potent Eye Cream! It helps restore skin elasticity and boost collagen around your eyes. 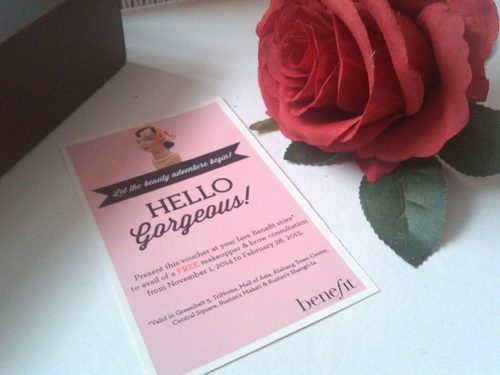 Get a FREE makeupper and brow consultation at your fave Benefit store! I am so in love with everything inside the box, I just wish I got at least one full-sized item. 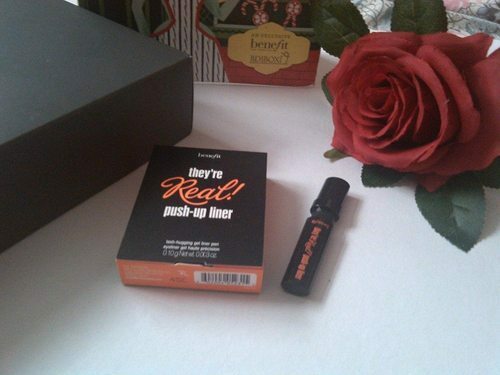 Some might think that this one is worth it, but for those who paid for the box and received all sample sizes (which is supposed to be free) is a total (or if at least not all) disappointment. 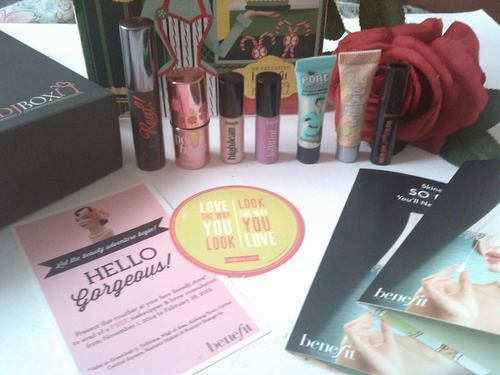 But don’t get me wrong, I’m in love with Benefit Cosmetics. I just think that it’s not worth getting the box full of samples in exchange for what you paid for. 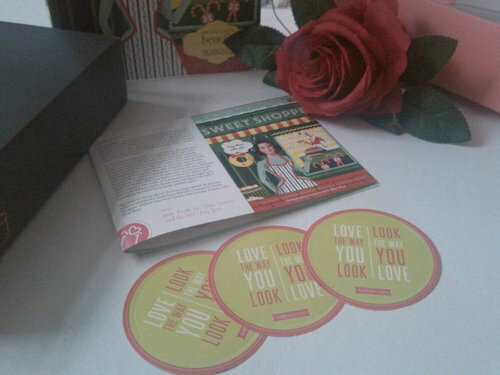 Anyways, here’s for this month’s sticker: Love the way you look, look the way you love. Have a great day Bellas!